The father superior of the order recognized Rodin's talents and encouraged him to pursue his art. In 1864 Rodin met a seamstress named Rose Beuret. She became his life companion and was the model for many of his works. That year Rodin submitted his Man with a Broken Nose to the Paris Salon. It was rejected but later accepted under the title Portrait of a Roman . Rodin traveled in 1875 to Italy, where the works of Michelangelo made a strong impression on him. The trip inspired his sculpture The Age of Bronze , which was exhibited at the Paris Salon in 1877. 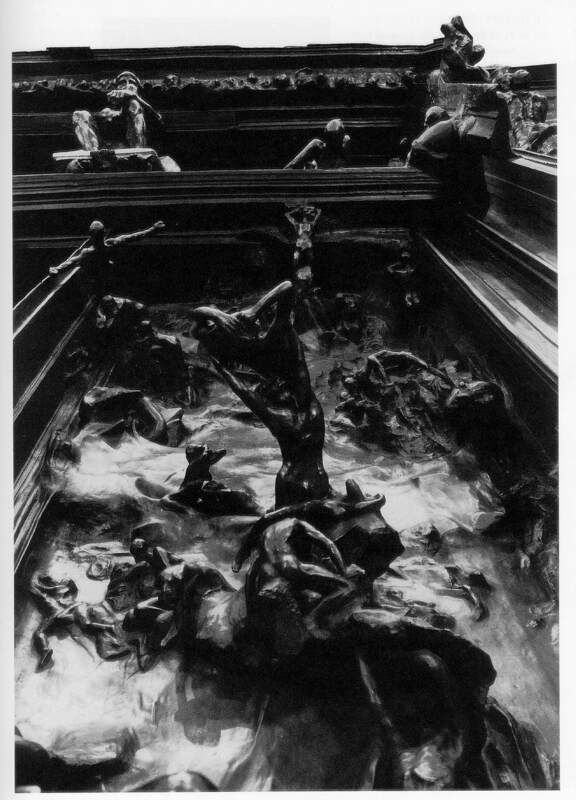 It caused a scandal because the critics could not believe that Rodin had not used a casting of a live model in creating so realistic a work. The controversy brought Rodin more fame than praise might have. 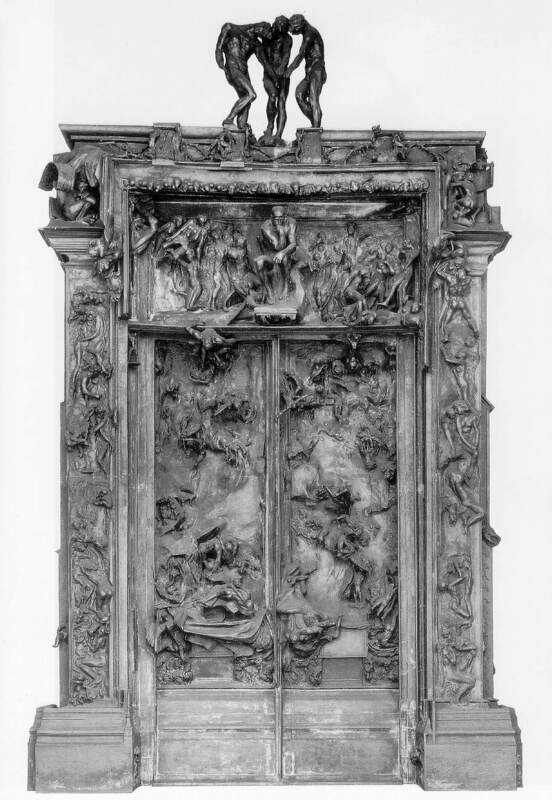 In 1880 he was commissioned to create a bronze door for the future Museum of Decorative Arts. Although the work was unfinished at the time of his death, it provided the basis for some of Rodin's most influential and powerful work. 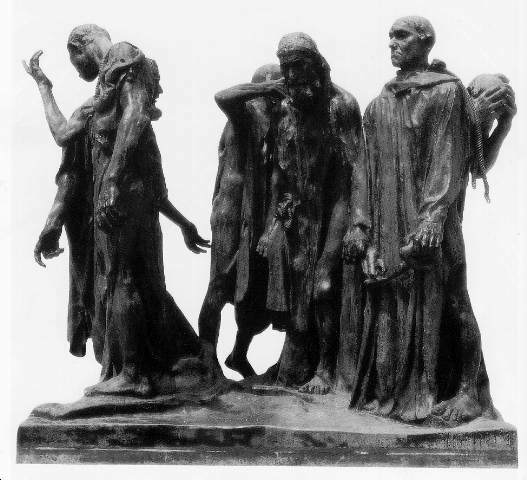 In 1884 he was commissioned to create a monument that became The Burghers of Calais . His statues St. John the Baptist Preaching , Eve , The Age of Bronze , and The Thinker are world famous. Rodin died on Nov. 17, 1917, and was buried at Meudon. Rodin gives St-Pierre determination and poise. He holds the key to the city, and around his neck is the rope, or halter, prescribed by the conquerors. A companion, with his head buried in his hands, is on the right. These two men exemplify the greatest contrast of feeling in the group. 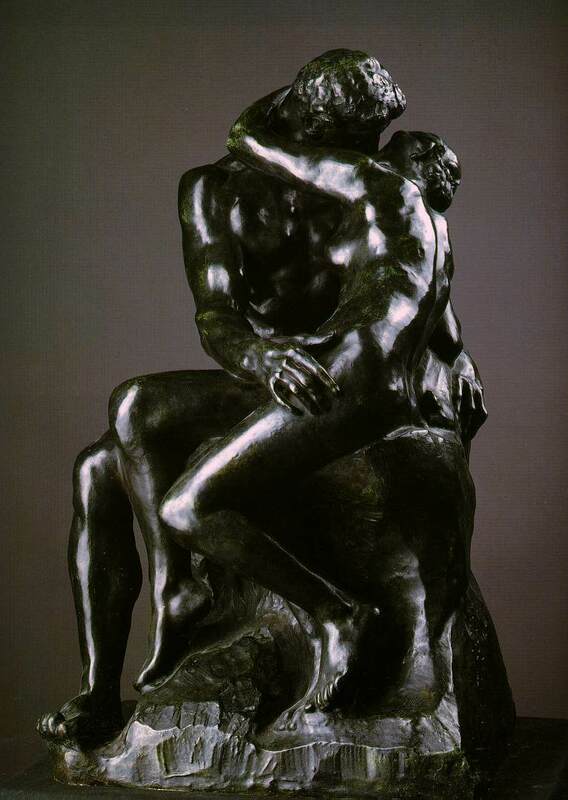 By placing them together Rodin achieves dramatic power. Observe too that this use of contrasting emotion is also strongly evident in the central group and to a lesser extent even in the two figures on the left. To organize, or compose, six different figures into a single unified work of art, Rodin groups them into three pairs, each pair differing from the other and yet tied to the others in rhythmic movement. The spaces between the figures are also varied. This is what sculpture tries to achieve, for sculpture deals essentially with the purposeful relationships of volumes in space. By looking at the details we see Rodin's ability to convey feeling through facial expression and through hands. He cuts the hollows of the face deeply to assure strong shadows, and his textured surfaces catch the subtle variations of light and heighten the sense of life and movement. This irregular surface is a departure from the cold, impersonal smoothness of the classical tradition. Together with a profound sense of power and drama, it had a tremendous influence on the sculptors of Rodin's time and helped to determine the trend of modern sculpture .